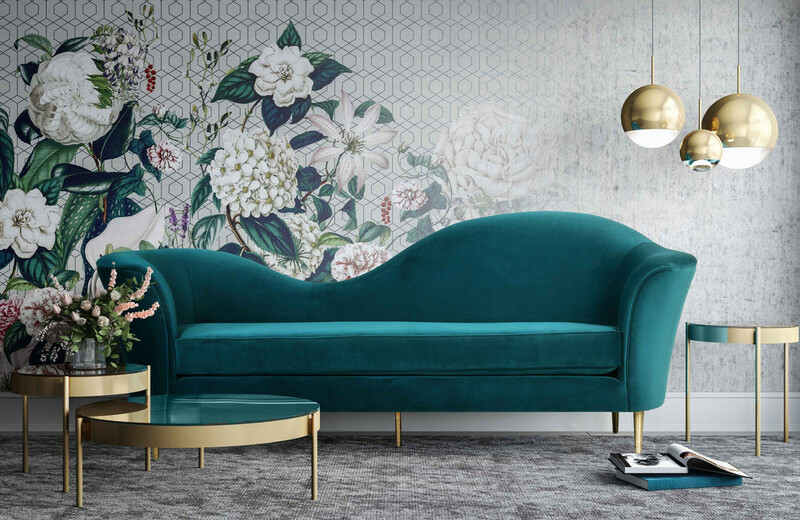 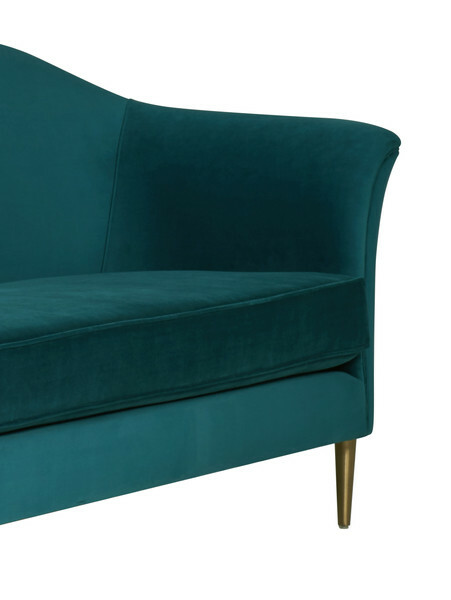 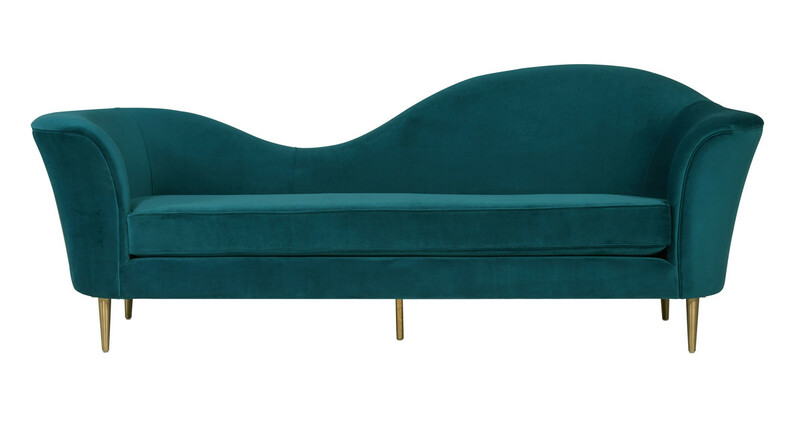 Hollywood glam is beautifully defined with the Plato velvet sofa. 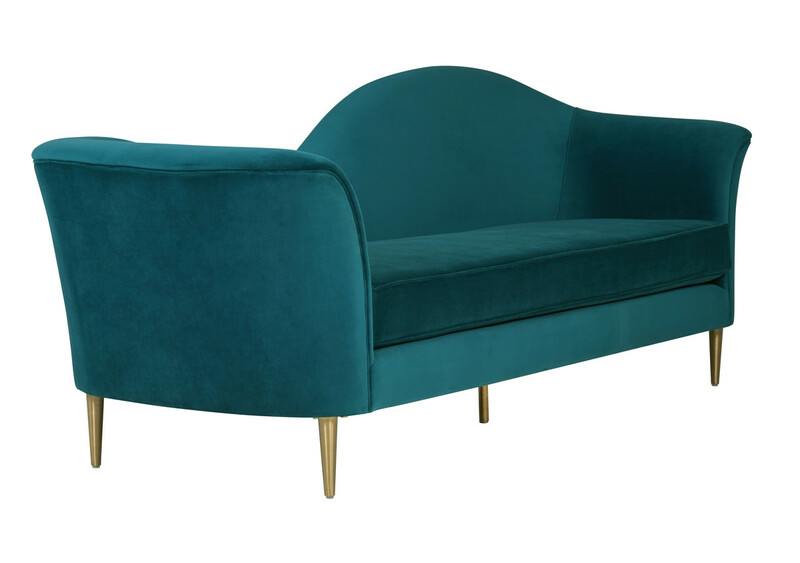 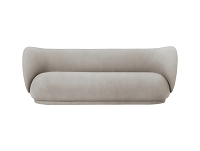 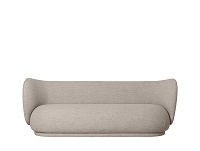 Its sloping silhouette, gold legs and luxurious upholstery, make this sofa a true statement piece. 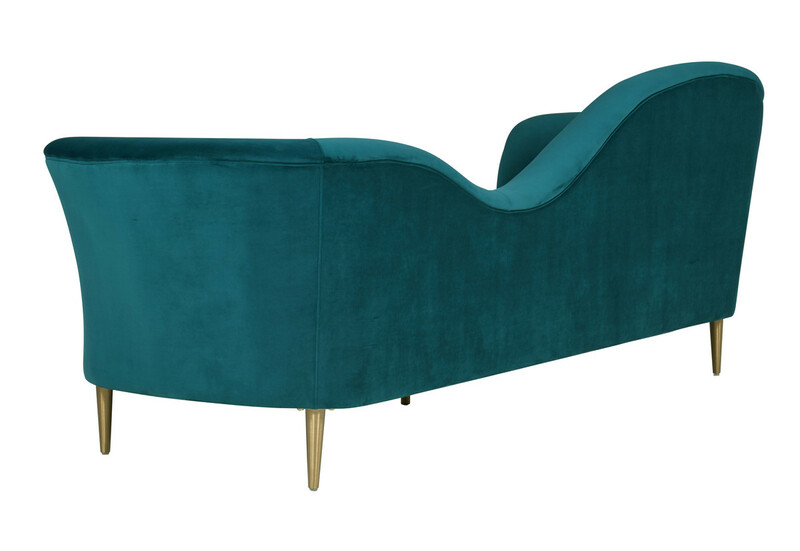 Featured in multiple color options. 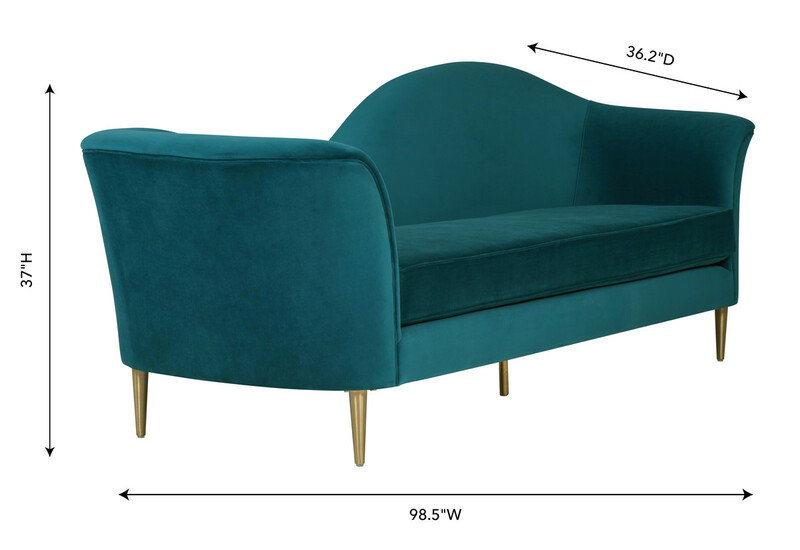 IF in stock, item will ship in 5 to 7 business days.